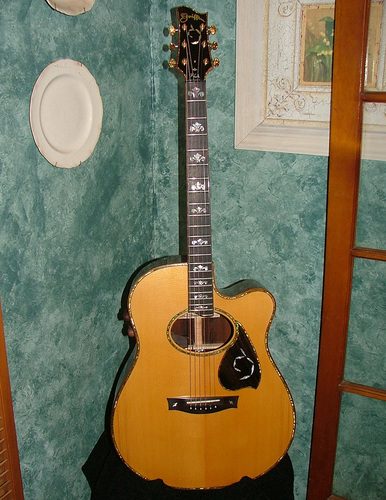 GRIFFIN GUITAR MODELS: A,B,C,D and GC. Below: Model D, a powerful rounded dreadnaught size, this one with an Austrian spruce top and Macassar ebony back and sides, 5pc. laminated neck. 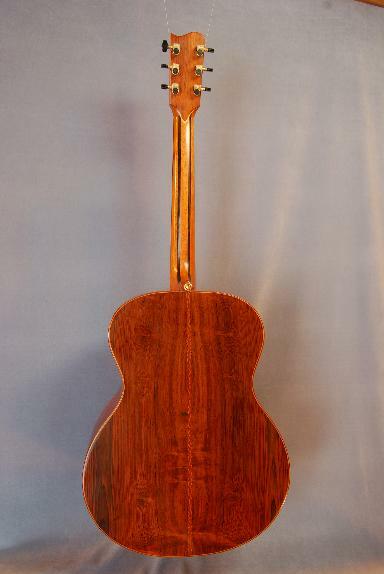 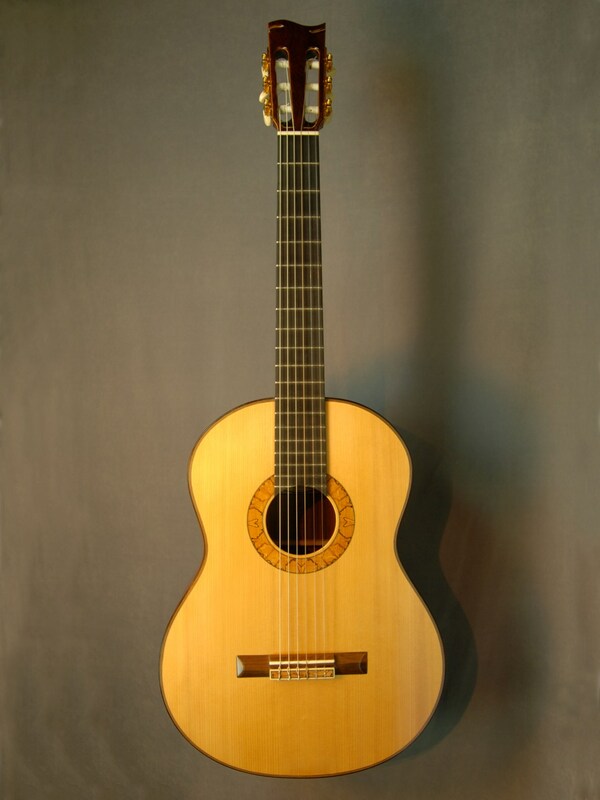 Below: This GC has Brazilian Rose Wood back and sides and a 5Pc. 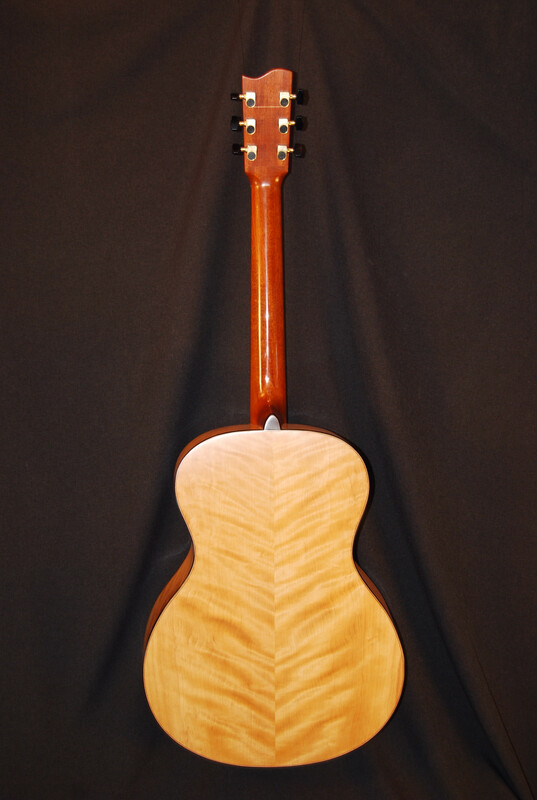 laminated neck. 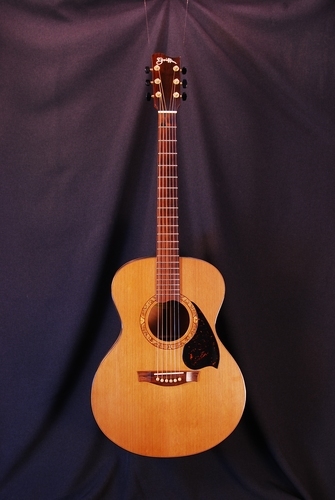 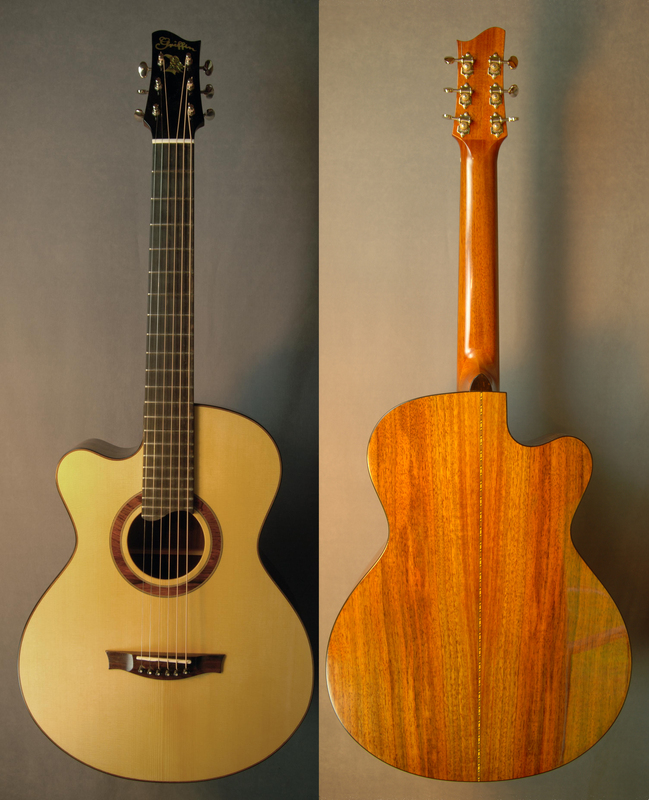 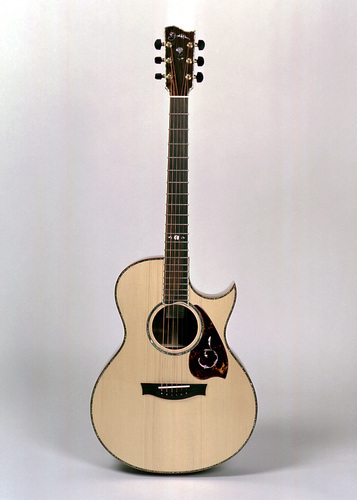 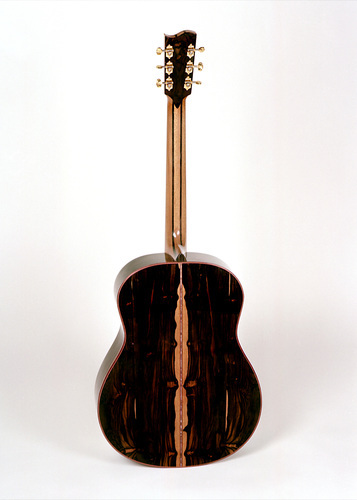 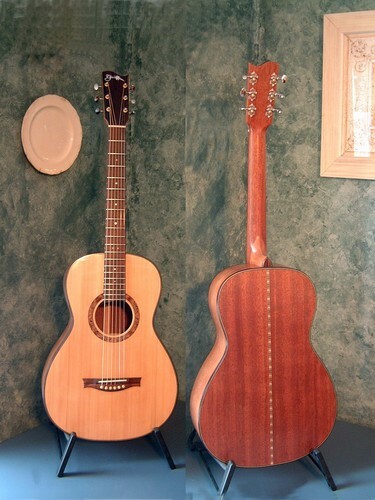 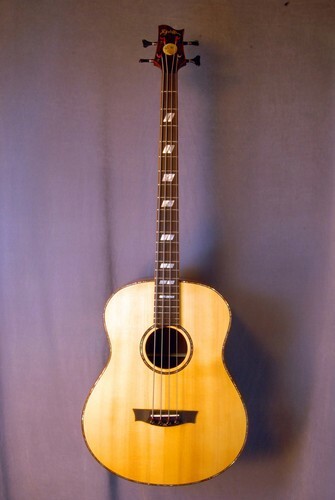 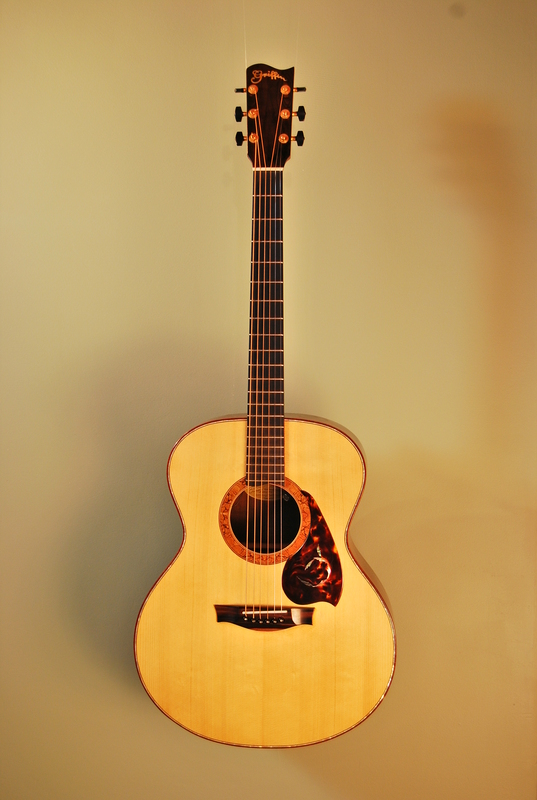 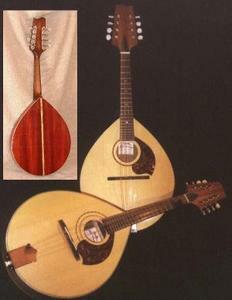 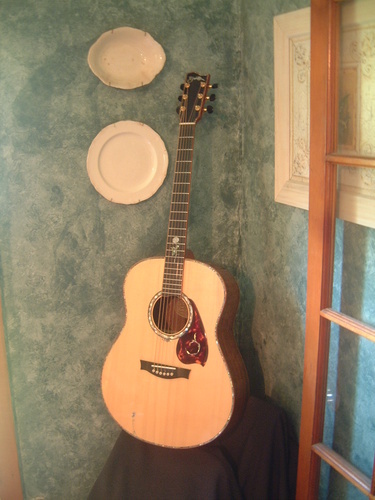 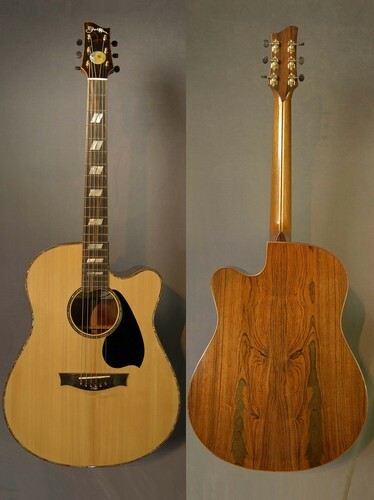 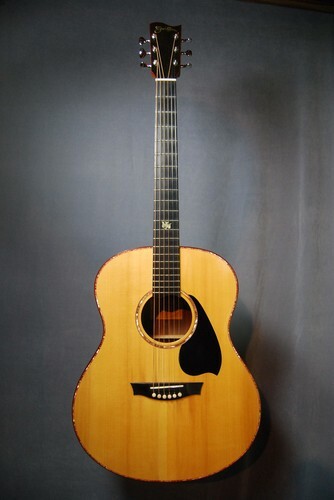 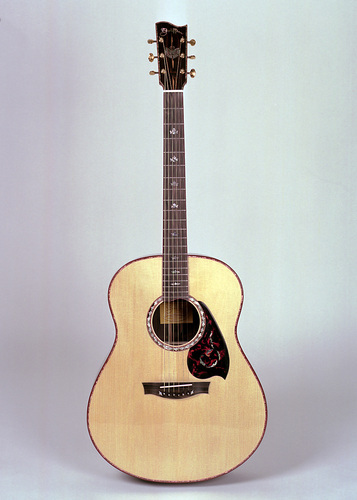 Below: Model D rounded cutaway with oval sound hole, custom inlay, and a custom designed by LR Baggs pick up system.